Akara – Music from Other Worlds. If Afro Celt Sound System had brought Philip Glass and Dead Can Dance into their trans-global orbit, it might have sounded like Akara. 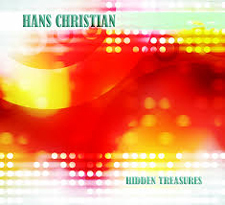 It’s a fantasy meeting of orchestral, electronic and world-music elements with a couple of wrinkles tossed in that are strictly from the imagination of Joshua Penman, including the imaginary language sung by Femke Weidema. Akara wants you to believe that their music actually comes from another world and Penman posits the idea that there is another dimension that he has tapped into, that was here before us and maybe even begat us. 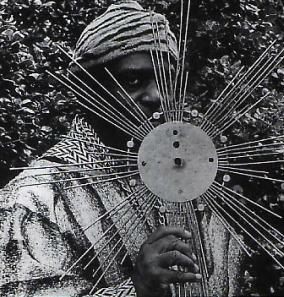 Unlike Sun Ra, who lived in his otherworldliness, Penman leaves some wiggle room between belief and metaphor. Akara has a new album called The World Beyond. We spoke with Akara in 2011 about their Echoes CD of the Month, Extradimensional Ethnography. We return to that entertaining interview and some beautiful music, wherever it’s from, when we revisit our interview with Akara tonight on Echoes. Well it was already over according to Sun Ra. Here’s a song for those of you who think you survived the post-Mayan Calendar apocalypse. 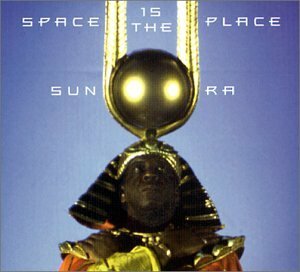 Although the best version of this song is on the album, It’s After the End of the World, I was lucky to find this video from the Sun Ra movie, Space is the Place, which you can see in it’s entirety online. Now that you’ve survived, make sure the rest of your life is filled with good music. Get ECHOES ON-LINE for 37% OFF until Christmas. Now you can go Mobile with Echoes On-Line. Find out how you can listen to Echoes 24/7 wherever you are on your iPhone, iPad or Droid. And now, for a limited time, access is 37% the normal price. The Sun Ra Arkestra made a return to earth this past Wednesday night at the Institute of Contemporary Art in Philadelphia. The sound was high-school-gym awful, the seating on the floor uncomfortable, the lighting harsh. It didn’t matter. The 21-piece Sun Ra Arkestra, led by alto saxophonist Marshall Allen, raised the spirits in a two hour, non-stop performance that ranged from swing to corn to way the hell beyond. The concert made me a born-again Arkestra devotee. Between 1972 and his departure from the planet in 1993, I saw the Arkestra every chance I could, some 30 times, including Christmas Eve in Boston. But I’d resisted the Marshal Allen led band. I thought it could only be a shell of the cosmic circus that Ra presented. I was wrong. Allen, always one of the formidable voices in the band, has kept Ra’s spirit alive with a performance that wasn’t a recreation. It was another step in the Arkestra’s evolution. 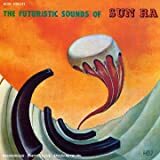 But all the great Sun Ra elements were present. There were spangled capes and hats, swing numbers and corny tunes, amateurish dancers and riveting horn sections, and of course, free form blowouts like you rarely see anymore. Farrid Barron did a great job on piano and sending out shards of synthesizer chords, but it was actually Allen who handled all the electronic space age whoops, whorls and wiggles. He played his antiquated, but effective electronic valve instrument when this wizened wizard wasn’t spitting out oscillating alto solos. Now a spry 85, and with the Arkestra since 1958, he hasn’t lost anything. Stalwarts with the Arkestra from the 60s, 70s and 80s included bassist Juini Booth, baritone man Danny Thompson, tenor sax player Charles Davis and trumpeter Michael Ray, who I still think of as the hot new young trumpeter, even though he’s been with the group since the late 1970s. The Arkestra did their walk through the crowd, Noel Scott did somersaults, they essayed Fletcher Henderson’s “Big John Special,” a staple of Sun Ra’s later years and at the end, most of the horns left the stage and Marshall Allen and the percussionists let loose a joyful cacophony of free jazz blowing. 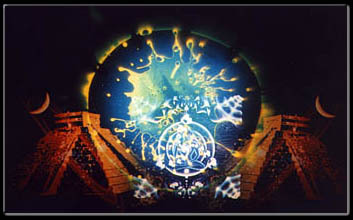 In the late 90s, I produced a documentary called Sun Ra’s Cosmic Swing for NPR‘s Jazz Profiles. You can still catch it online, here. Allen has released several albums with the Arkestra and they are currently touring Europe, doing the festival circuit. You can catch their tour dates on the Arkestra’s website. 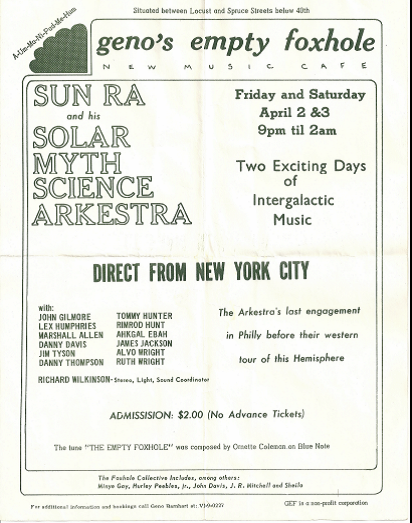 The Sun Ra Arkestra will perform a Halloween show, an Arkestra tradition, on Oct. 31st. Philadelphia, PA, International House Philadelphia, 3701 Chestnut street, PA 19104. I’ll be the one standing in rapture.